Even more South Gloucestershire communities than originally planned are set to get access to high speed broadband, the Great Western Broadband (GWB) partnership between South Gloucestershire Council, Wiltshire Council and BT can announce today. 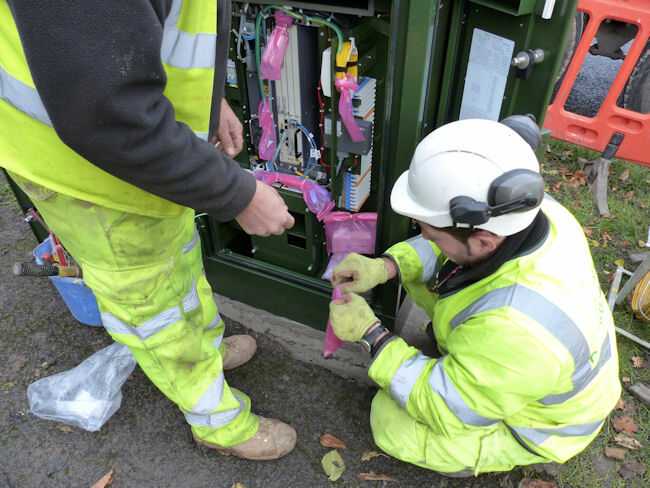 In order to provide homes and businesses with access to high quality digital connectivity, engineers from BT’s local network business, Openreach, have laid more than 140 km of fibre cable – the equivalent of Chipping Sodbury to Winchester – and installed more than 85 roadside green cabinets. Matt Lloyd, Programme Manager for BT, said: “Fibre broadband is essential to the rural communities and businesses of South Gloucestershire.